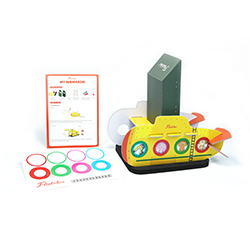 Delve deep into an ocean of exciting activities with Ocean Explorer box because we have a thrilling adventure in store! 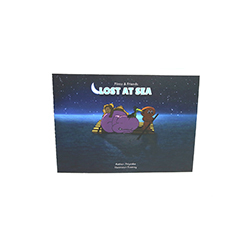 Your little aquatic lover cruises into the underwater world; says hello to eels; travels in submarines; peers through a periscope for a closer look! Your child is sure to have a whale of a time! 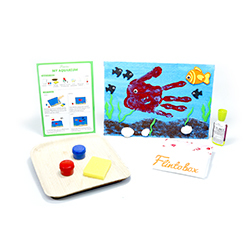 Riveting activity that will tickle your child's senses as they set up an artistic aquarium. 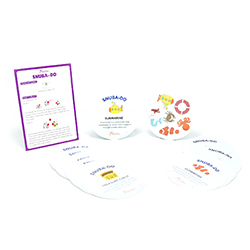 Exciting game where your child sits at the edge of the seat to quickly match patterns of the underwater world! Flinto and his friends are stranded and need to find their way back to Jollyville through the deep blue sea! Find out how.